Previously known as the My Free 5-in-1. 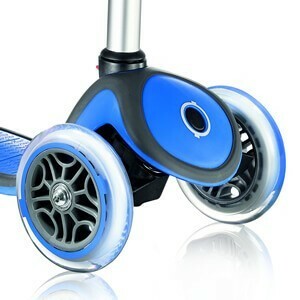 The award winning Globber Evo 5-in-1 is a three wheel scooter designed to grow up with your child. 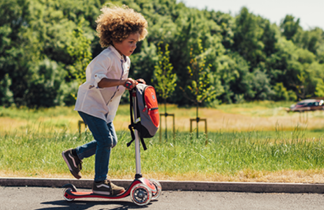 The three wheel scooter range features five stages suitable for children from 12 months to 6 years old, each stage is designed to encourage development as they learn the skills to scoot and ride. 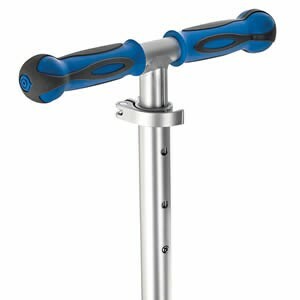 The first Evo 5-in-1 assembled stage is a ride-on with footrest, attach the parental handlebar for full control of the bike to push your little one down the street or around the park. 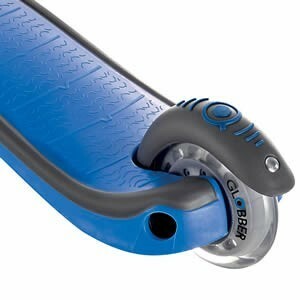 The second step allows your child to push themselves along, remove the footrest as they gain confidence. Once they have found their feet remove the handlebar for stage three. 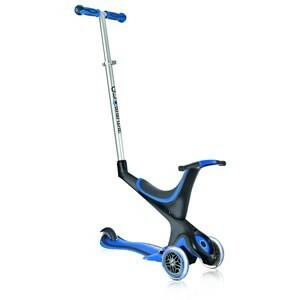 The fourth assembled stage transforms the bike into a scooter for beginners by removing the seat for 3 years plus. Adjust the T-bar height for stage five as your child grows. 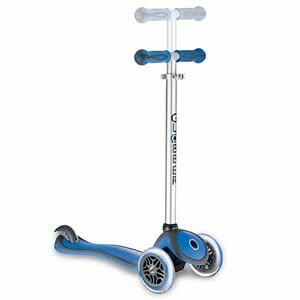 The scooter includes a rear break and locked steering for safety, and assist with balance and movement. 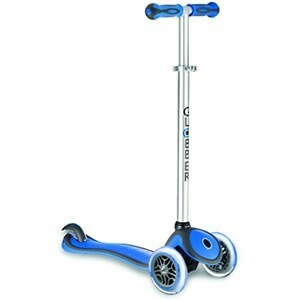 The Evo 5-in-1 starts as a ride-on, allowing parents to guide the child through their first scooting experience. 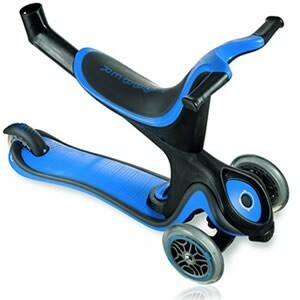 With the footrest and parental handlebar removed the Evo 5-in-1 transforms into a balance bike. Removing the seat turns the Evo 5-in-1 into a three wheeled scooter, suitable for children over 3 years old. The steering lock enables children to progressively learn how to turn. 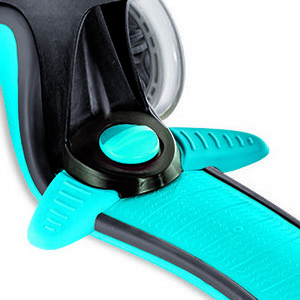 By pushing the button on the front of the scooter you can lock the wheels in place whilst depressing the button will allow free steering. Complete with a footrest to allow little ones to tuck their feet away whilst being pushed.